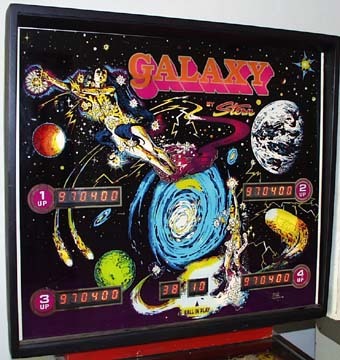 Galaxy was manufactured by Stern Electronics in 1980. 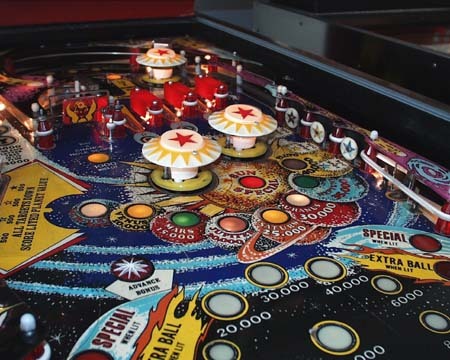 This is the first pinball machine I ever bought, purchased on February 23, 1987. This game has no particularly unique features, no distinctive attractions, but I enjoyed playing it in the mid-80's, and have enjoyed playing it throughout the time I have owned it (except for the five years it didn't work!) The gameplay is light and fun, with well-defined (albeit repetitve) goals. 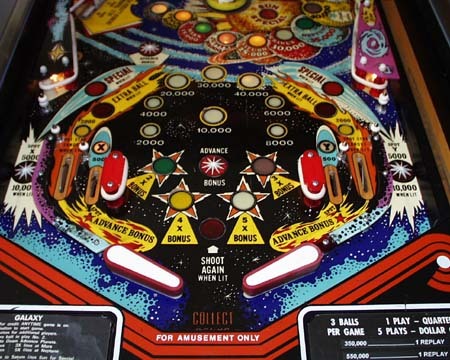 This was the sequel to the 1979 Stern game Meteor, and uses a lot of the same sounds. This is also apparently the last game designed by Harry Williams.. 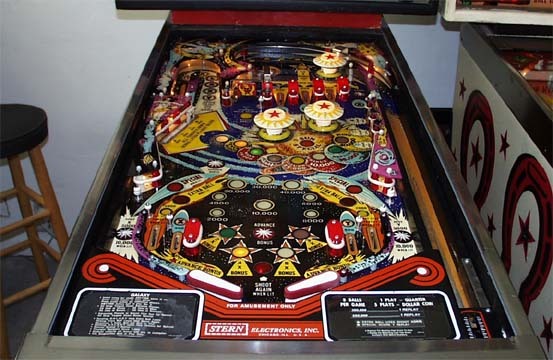 It's kind of sad, but the Galaxy machine, which has been with me for over 14 years, is gone. It departed this life (well, my house, anyway) on September 26, 2001. It's not really gone to the beyond, but is now the cornerstone of my parents gameroom. So I still get to play it from time to time!